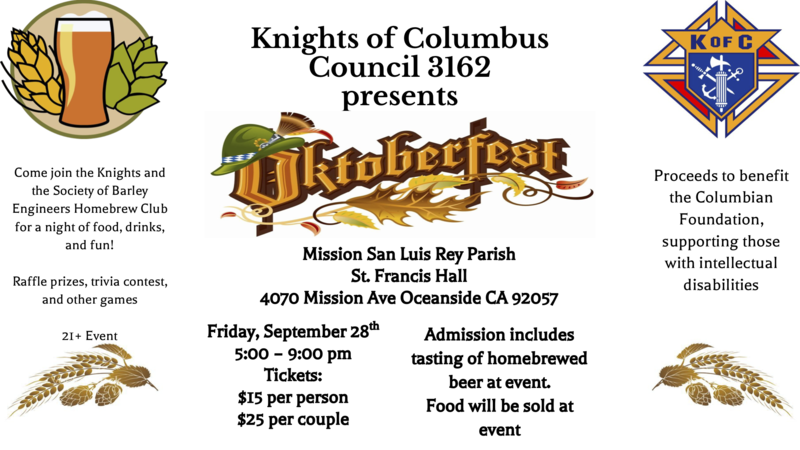 Join the Barley Engineers on Friday, September 28th @ 5:00 PM as we join the Knights of Columbus Council 3162 in supporting the Columbian Foundation with a charity Oktoberfest at the historic Mission San Luis Rey! Enjoy handcrafted beers brewed by the club along with grilled brats and other foods. Tickets are $15 (must be 21 or over), but contributing members will get in free.